If SharePoint is associated to one thing in our industry, it's as a collaboration platform. You may be wondering what's new in SharePoint 2013 or Office 365 that makes it worth upgrading from the version you have. 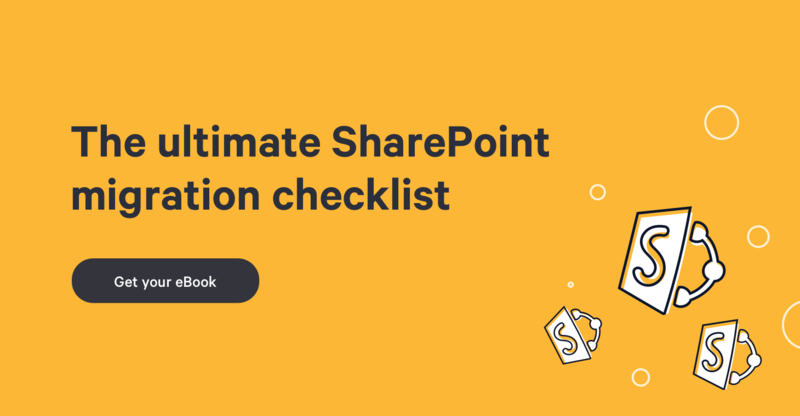 It's clear that the new version of SharePoint upgrades the collaboration features, but which ones and how? With the eBook on 111 Hot new SharePoint 2013 Features, I look at a high level what new features are for collaboration in SharePoint 2013 and of course Office 365. If you are planning to upgrade, you're probably wondering if the changes to collaboration are worth it. To be honest, it can't be limited to just the collaboration as it involves many other factors like browser support, UX and many more. However, I will try to quickly point out the ones that make a difference specifically in terms of collaboration. There isn't one particular feature in SharePoint 2013 for collaboration that will make you jump out of your seat. However, there are many little changes that in the end make it worth it. You'll notice for example that now, users will easily be able to Drag and Drop documents into a Document Library from any browser or computer. There is one down side though, when bulk uploading documents into SharePoint, well it never asks for Metadata. If you had required fields, these documents will be checked out until you find the time to edit the required properties and check them in. One of my favorite additions in SharePoint 2013 and a good reason to migrate in my opinion is the integration of Office Web Apps in the libraries. Once Office Web Apps is installed and configured to be used with your SharePoint, the documents hover panel will change. The Hover Panel is a window that pops up once you click on the ellipsis for the document properties. Now, it will show a document preview from which you are actually able to navigate through without ever opening the document. Imagine going through all the slides in a PowerPoint File without ever actually opening the file itself. Other improvements include the number of views for the document as well as a way to print the document to PDF if it is a word file. The new Quick Edit View is a replacement to the Edit in Datasheet view that usually left us wanting a little more. The problem I had with it in the past is that most of the fields I wanted to edit are actually in Read Only when using the Edit in Datasheet View. In SharePoint 2013, there is support for even more columns and the Quick Edit also lets you created columns straight from that view. Another great reason to migrate to SharePoint 2013 or Office 365 is the changes to Permissions management. Though there is still room for improvement, it is now reinvented with the concept of "Sharing" a site, library, document or any other SharePoint objects to which permissions can be modified. External Sharing as well as Sharing with a link is now available for those on Office 365. Making it easier than ever for the users to collaborate with others, either in the organization or externally with emails or directly with a hyperlink. I have already covered what co-authoring looks like in SharePoint 2013. But compared to SharePoint 2010, there is definitely a stronger set of features to allow co-authoring on Office documents stored in SharePoint. Using either Office for Mac, Office Web Apps or Windows Office, anyone from your team will be able to join in on the document collaboration without having to wait for the document to become available. Though only for those with Exchange 2013, the Site Mailbox offers some interesting possibilities and shows promise in SharePoint 2013. A Site Mailbox is essentially the use of a SharePoint Site in association with a regular Exchange Mailbox. The site will be able to send and receive emails as well as explore the documents stored in the Document Library. Great feature for those sharing an email address as a team like "Support" or "Sales" as examples. Now if you have the chance to have Office Web Apps installed and configured, creating a SharePoint 2013 team site will also create a OneNote workbook that belongs to the site. This means it will inherit the site's permissions. OneNote is a great note taking tool and allows multiple users to be working in it at the same time. A new column type, though hidden, is now available after you upgrade to SharePoint 2013. The geolocation column lets the user enter latitude and longitude information for a list item or document in a library and pinpoint it on a Bing Map. To be able to use this new column, some configurations are necessary to use Bing Maps but also to make the column available in SharePoint. My article on what is OneDrive for Business in SharePoint 2013 explains it all in great detail. Essentially this is the new name given to Groove or SharePoint Workspace 2010. It allows you to synchronize a Document Library with your computer for possible offline usage. The tool has once again changed it's name to OneDrive for Business, which has nothing to do with the public offering called "OneDrive". All these collaboration features worth upgrading SharePoint? In all honesty, we can't simply look at one category like "Collaboration" and say these are the features I want and why I need to upgrade. It's usually going to be a combination of some of these features along others in Search, Branding and much more. But if I focus on the SharePoint 2013 Collaboration features, I would say that yes, there are enough changes to make a difference on the users day to day activities. Not to mention it now works much better for those not using the latest and greatest browser on a Windows Desktop. You will have to look at your business needs and see if these new features make enough of a difference for you to justify an upgrade. Should you decide to upgrade your current version of SharePoint, or simply want some more info on how an upgrade can benefit your organization, Sharegate is always here to lend a hand. Let us know what's on your mind!